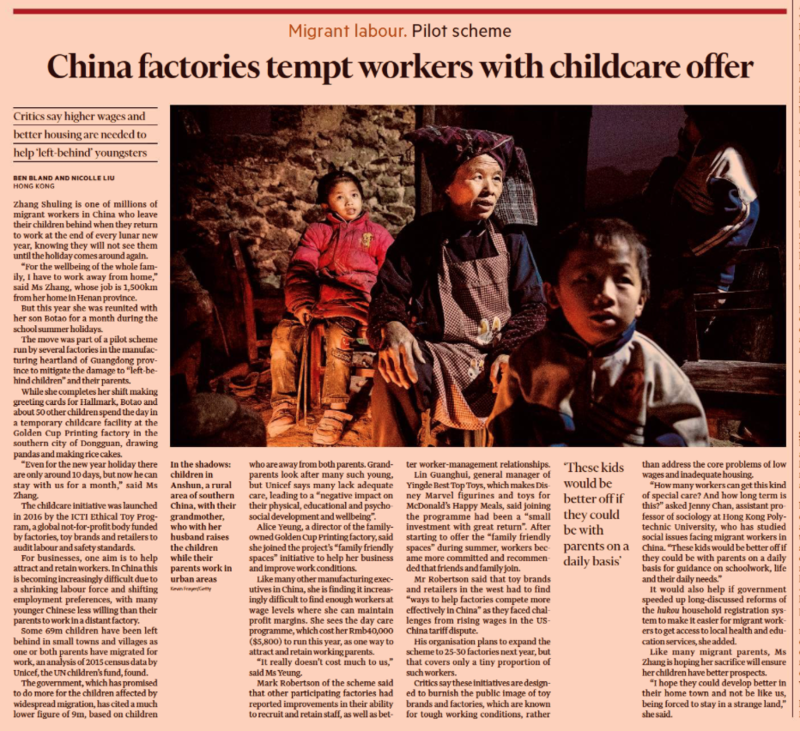 The Financial Times ran an article entitled 'China factories use childcare offer to lure migrant workers' (paywall). This article covered our worker well-being programs to support workers with left-behind children. The article focuses on two of the eighteen factories taking part in our Family-Friendly Spaces which operated at factories over the summer, and interviews factory management and workers about the impact of the program. Read the article here or find out more about our worker well-being programs and how you can get involved here.